Homeschooling is a wonderful opportunity to teach and train not only our kids’ minds, but also their hearts. Often though, we get so busy and caught up with things, that we forget some important things which every homeschooler needs to remember. 1. Regardless of how qualified you may or may not feel, the best teacher God can provide for your kids is YOU, his parent. As a parent, we know them best, and we love them more than any teacher would. We can evaluate their work based on their abilities, and assess it based on their effort, not their intelligence. We know them well enough to know if they are really trying. We can challenge them at their level, but without unnecessary frustration. 2. The most important thing you can do is win your child’s heart. When you have their heart, you are able to pour into them the truths that God is teaching you. It also gives you a place of valuable opportunity to influence not just what they do, but who they are. 3. Give priorities first place in your day. Start your day pointing them to God and His Word, and then train them in character. Training them in godly character is much more important than teaching them academics. The academics are important, but character is what will make a difference in their life. Wisdom is the principal thing, not knowledge.4. You CAN do it! We all have times where we wonder if we are giving our kids what they need academically, or how we will get through the challenging high school subjects. The KEY is we can do it THROUGH the strength of Christ. Daily time alone with Christ is essential! Without His help, we will struggle. As homeschooling parents, we tend to take our responsibility very seriously, and we should. But at the same time it’s important to lighten up, and ENJOY the journey. Read together, go to the park, laugh and have fun. 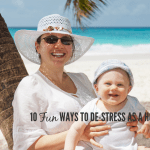 When things are stressful, and a child or a subject is frustrating you, switch things up, change your focus for the time and do something different that will be fun. Don’t sacrifice the relationship because of a stand off with a subject. 6. You can’t do it all. It’s so easy to get way too busy with all the wonderful opportunities we want to give our children. However, if we have every day overbooked with activity and rushing about, it leads to fatigue and eventually burnout. There is a limit to our physical energy, so it’s important to make wise choices about how we will use our time. Ask God what HE wants for your family, and make decisions based on His leading, rather than on what you see other homeschooling families doing. We are not all created equal, and God calls each of us to different things. 7. We ALL have bad days. Not all of us want to admit that, and we usually don’t want to talk about it, but it’s part of the package. Kids get sick, moms get sick, kids have bad attitudes, etc. Some days will be GREAT, you will love what you are doing, and be so glad God called you to teach your kids at home. Other days you will wonder what in the world possessed you to ever keep them home! Don’t let the bad days get you down. 8. Homeschooling is more about discipling and preparing children for life than it is about academics. 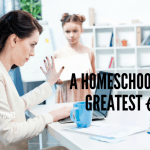 There are definite academic advantages, but the true value of homeschooling comes in the spiritual and Biblical values that we are able to impart. We are investing in eternity as we prepare our children to serve God. There’s no higher calling! 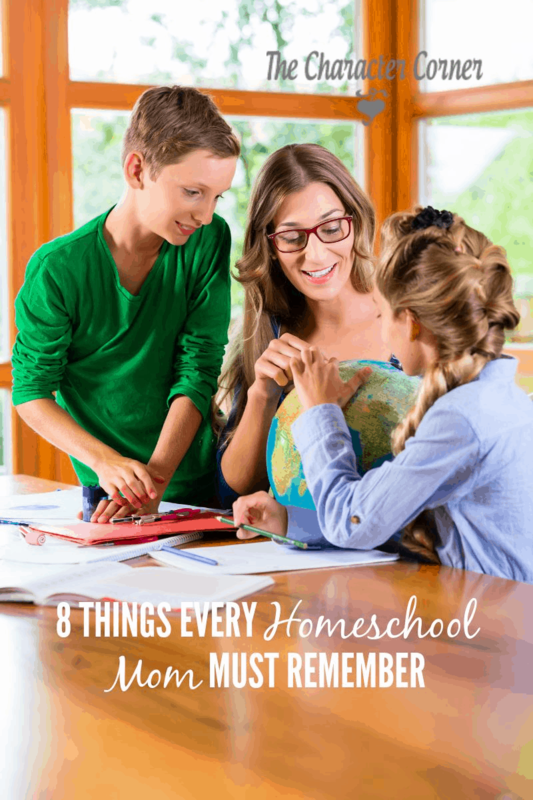 What would you add to this list of things we need to remember as homeschooling parents? WARNING: It’ll Be Over Before You Know It! Cameron, I”m so glad these were encouraging for you! Hope things go well for you as you continue in your homeschooling! Julie, I’m glad it was an encouragement to you! How is highschool going? Wow, this was such a great read for where I am in life right now. 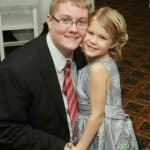 I just started homeschooling this year, and I really needed a reminder of why I chose to and what the most important parts of our day together are. Thank you! Hi Savannah! I’m so glad that this was an encouragement to you. It is SO easy to get caught up in he books, and forget what our priorities are! It was a constant struggle for me. I tried to read books and listen to mp3s to keep me on track. We use My Father’s World curriculum and one thing I love about it is that it is set up just as you have here. We start by being in the Word, then we move on to a character trait that we are learning and then we dive into our lesson for the day. Teaching our kids about the Lord and pointing them to Him first should be our top priority. I always struggle with the ‘I’m not good at this’, or not qualified enough to be doing it feelings. I was so nervous teaching my kindergartener how to read. I knew it was so foundational that I didn’t feel qualified, Thankfully, I have some good friends around me to encourage me. 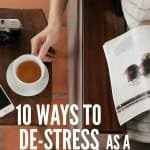 Great post and so needed during the midyear schooling! Ann, that is great that you are putting God first in your day/school with the kids! Glad you have friends to encourage you when you question your ability, but know if God called you to it, He will enable you! Great reminders. I often try to over do it and cram so much into our school day. It’s SO easy to over to it, isn’t it?! I think this is one of the biggest challenges we all face — even though we know better, there are SO many “good” things we want to do! 🙂 Sure do need God’s wisdom in making choices! Homeschooling my 7 children, 3-18 yrs old, 2 girls and 5 boys has been the refiner’s fire to my soul. But we have forged love and strength and unity. Discouragement is my hardest battle. And it is only when I turn to the Lord that I am able to catch the vision of where He is leading our family and each of my precious children. That is what I strive to remember, that there is joy to be had in my journey and as I seek it, the Lord will guide me to find it. Thank you for your encouraging words. 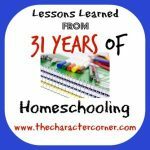 Nanette, I love how you said that: homeschooling is the refiner’s fire to your soul. So is parenting, isn’t it?! Keep your eye on the long term goal when you are discouraged, and stay faithful. Remember that it takes years of being purposeful to see some of the growth and changes that we hope for in our children.